When the Lord restored the fortunes of Zion, we were like those who dream. The Lord has done great things for us, and we rejoiced. When the Lord returned Zion from captivity, we became like dreamers. In idiomatic English, we might say, When God freed us from prison, we had to pinch ourselves to see if we were dreaming. Thus Israel's plight is brought very near to me at this point. I've never been a prisoner—the closest to being a refugee I ever was was after 911 when I was forced to spend nearly a week on a schoolroom floor in Newfoundland. 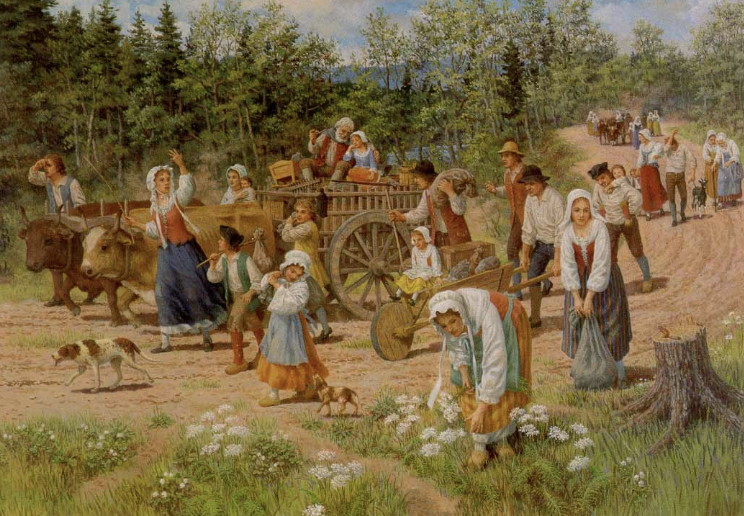 But since the Newfoundlanders treated us "refugees" very well and we were being kept safe from terror, my brief exile was actually more good than bad. And so to appreciate this psalm, we need to put ourselves in the shoes of exiles and refugees who, after many years, get not only to go home, but to return to a place where justice reigns. we praised the Lord of all the earth. when he at last drew near to give his people aid. and gladness to our hearts has brought. Because we are obsessed with positive thinking, we in our culture can no longer fully appreciate the meaning of exile or the gloom of the grave. To be delivered, then, is something we take for granted and accept as our due. We no longer need to ask whether we're dreaming, or if God's promise of life is a dream-come-true. And so I like to picture Christ's resurrection as my release from a labor camp or my return to my home after many years of forced exile. If the Lord delivered me from such a fate, I would indeed have to pinch myself to see if I was dreaming. *The tune usually suggested for this version of Psalm 126 is Arthur's Seat, but I don't think it suits the psalm nearly as well as Darwall's 148.